I tweeted the other day (sounds like a confession, doesn’t it?). This is a blessing that comes with working one’s way through the Bible in large portions. I’ve come to like reading full chapters in the Old Testament and then smaller portions in the New Testament. Find what you will do and do it! In doing so, though, I’m reading what I’ve read before, but it’s like reading it for the first time. And it’s making me look at my life and my ministry and go, “Okay, these things aren’t lining up.” And I’ll just assume I’m the one who has it wrong. All of which become little idols when they usurp the rightful place of God on the throne of our hearts. So before I piddle away at life in careless fashion or prepare a sermon from the vantage point of “What will make someone want to come back?” I’d better take into account what God says about God. Where are their idols in my life? Where is there pride or a lofty spirit? Where am I being haughty? Nobody can read for you. Nobody can stand before God and give an account for your life either. So pick up the scriptures and read. I have been reading through Psalm 119 again in an effort to rekindle a hunger and desire for the Scriptures in a life giving manner. I tend toward an academic kind of reading of the Word, which has its place–though I would provide numerous cautions in that endeavor. But the kind of reading I was taught doesn’t line up with the message of Psalm 119. The psalmist speaks of the unsurpassed joy of keeping the laws of the Lord, of walking in his commandments, of meditating on his precepts. The more we read his words, the more faithful to them we should be. And the more faithful we are to him in that way, the more our appetite for the Scriptures increases. Our spiritual metabolism, so to speak, ramps up as we apply what we read and are faithful in the things we know for certain (rather than getting bogged down in the uknown). Okay, that last one…seriously? What would that be in dollars? 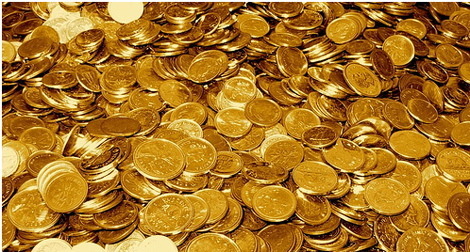 The last I saw, a $20 gold piece was worth roughly $1400. So, carry the 1, divide the remainder into the square root…3,000 of those coins would be $4.2 million. Is the law of God’s mouth, in practice and lived out, better to me than $4,200,000? “Oh yes, absolutely! No doubt!” he exclaimed without flinching. Then why do I not hesitate to push that law aside in order to justify my lack of action to care for the least of these? It takes me about $40 to sell out…let alone $4.2 million. You don’t know what a ragamuffin is? I didn’t either. I’d just heard of Brennan Manning’s book for over a decade and never took the time to read it. 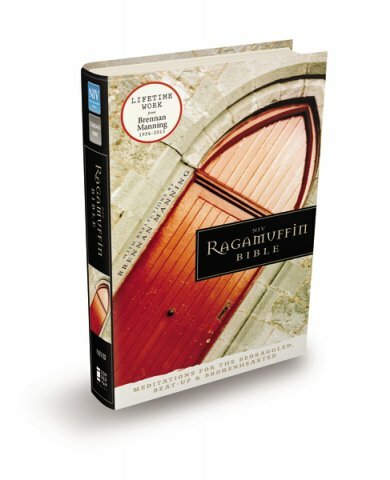 Then I got the opportunity to review The Ragamuffin Bible thanks to Booksneeze. I thought it would be wise to read The Ragamuffin Gospel before reading the companion Bible. While you don’t have to do the same, it might be wise to read. It will enrich your spiritual journey and encourage your heart. You will identify yourself with the beat-up and brokenhearted all around. As for the Bible published by Zondervan, it contains numerous devotions and reflections from the life and work of the recently passed Manning (just died in 2013). The NIV translation makes the Bible accessible by a wide range of ages. The font size is reader friendly, and the frequency of Manning’s writing is balanced and timely, which may help you if you’re trying to read large chunks or even get through the Bible in a year (an endeavor that generally comes to a crashing halt somewhere in Leviticus!). God’s Word or Fictional Thriller? I envision the planet earth literally melting into a blob of nothingness, which doesn’t bode well for anything on the earth! Sadly, even if unicorns did exist we’d never find them at that point. But anyone, spiritually super or not, has to admit that this just sound like it’s a scene in a James Cameron movie. But the reality of what will happen in that day when God decides to play His hand is actually more comforting than scary. Yes, there will be judgment and all that we’ve done in word and deed will be exposed. But that leads to a new heaven and a new earth–the word for ‘new’ there carries a meaning like our word renovated. So it’ll be like a giant HGTV project! Or Extreme Makeover Home Edition. Only far better and with no annoying hosts. This renovation paves the way for righteousness to dwell for eternity. No more injustice. In fact, all injustices of old will have been corrected. Pain will never be felt again. Sorrow will be banished. And the greatest reality of all is that sin will have no place to dwell…not in us, not in creation. While it may seem Sci-Fi, the day is coming. This should give us a renewed sense of urgency in spreading the news of Christ and living lives worthy of the name of Jesus. The Lord is patient, not wanting any to perish. But the day is coming, and our mission is clear. Slow fade to black and dramatic conclusion music…..